Roughly 1 million Filipino workers move abroad each year with an estimated 8 million, or nearly 10 percent of the country's population, working and/or residing in close to 200 countries and territories around the world (Asis). 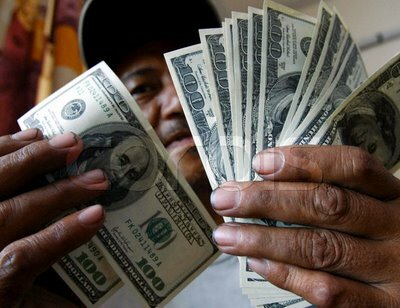 According to a 2005 World Bank report, the Philippines is the fifth-largest recipient of remittancess, or money being sent home from workers abroad, after India, China, Mexico, and France (Asis). With its low rate of foreign investment and a steady reduction in development assistance, the Philippines has come to rely on overseas employment as a strategy for survival (Asis). Indeed, remittances have become an important source of income for the Filipino economy generating more than $10 billion USD through official channels in 2005, or 13.5% of the country’s GDP (Teyes). 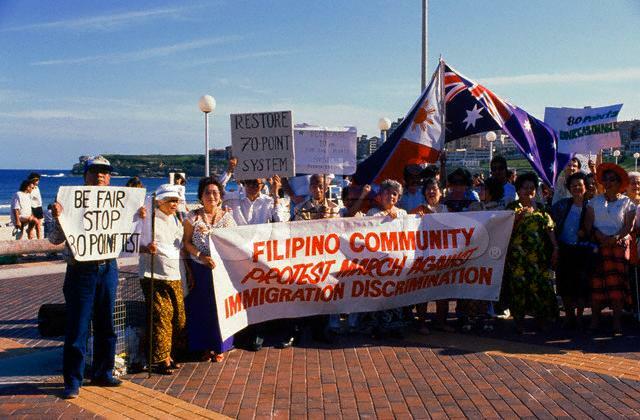 In the last 30 years, a "culture of migration" has emerged, with millions of Filipinos eager to work abroad despite the risks and vulnerabilities they are likely to face. 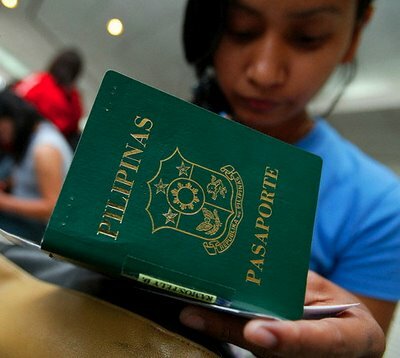 A nationwide survey of 1,200 adult respondents in 2002 found one in five Filipinos expressed a desire to migrate (Asis). Filipino society has become migration-savvy having developed the ability to respond and adjust to the changing demands of the global labor market. Anticipation of future demand for nurses, for example, has resulted in the proliferation of nursing schools and a remarkable increase in student enrollment in nursing programs in recent years. Even doctors are studying to be nurses to improve their chances of working abroad (Asis). 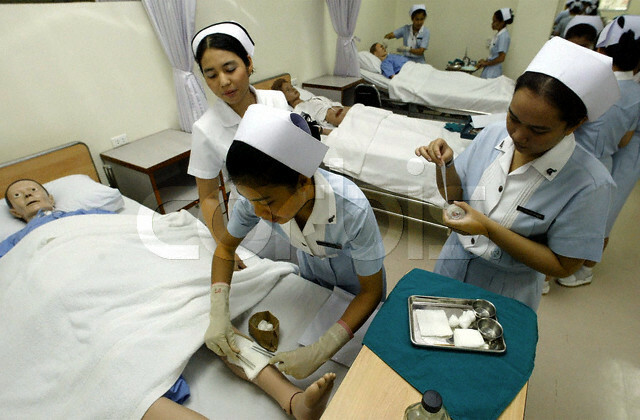 This dependency on foreign job markets is dangerous, however, as a sudden decrease in demand of nurses abroad, for example, can spell unemployment for the multitude of Filipino nurses unless they can obtain one of the few, mainly low-paying nursing positions in-country or can locate a new market abroad where their skills are in demand. On the supply side, the push factors have not abated. The absence of sustained economic development, political instability, a growing population, double-digit unemployment levels, and low wages continue to compel people to look abroad (Asis). On the demand side, the pull factors are ever-present as relatives return home to spend their newfound wealth presenting a glitzy reality of working abroad and the tantalizing promise of overseas salaries. 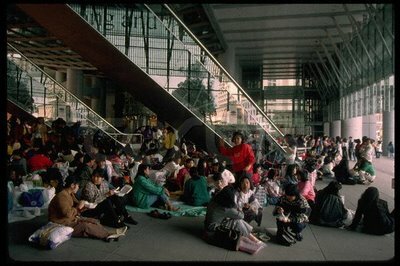 Without sustained development in the Philippines, job creation, and an increase in wages, Filipinos will continue to staff our hospitals as nurses, raise our children as domestic helpers, sing or dance as entertainers, man our ships as sailors, and fill a variety of generally cheap labor positions. There are Filipino migrants working in technology or other technical fields, but these are the exception not the rule. This exodus from the Philippines results in what is referred to as “brain drain”- the top nurses, doctors, and other skilled workers seek jobs abroad to take advantage of higher wages while there is a shortage of nurses in-country, families are broken up and strained as parents and/or children move abroad for years at a time, and the lack of development and job creation at home fuels societal ills such as prostitution and drug trafficking. The Philippines has a migration-dependent economy that is customizing its workers to serve developing nations and fuel economic growth abroad while development and foreign investment at home stagnate prompting those left behind to become increasingly dependent on remittances. Having such a large population abroad also increases the population vulnerable to human trafficking and other abuses. Migration’s relationship to trafficking will be discussed in a future post. For now, Filipinos will continue to look beyond their borders for employment. The remittances will continue to pour in, fueling the local economy and improving quality of life for those in-country, but without local development and job creation, the Philippines will rely on others to employ its citizens and guide its economic destiny. Asis, Maruja. The Philippines' Culture of Migration. Migration Information Source. Retrieved December, 22nd, 2006 from http://www.migrationinformation.org/Profiles/display.cfm?id=364. Teves, Oliver. Remittances Can’t Replace Good Economic Policies. Global Nation. 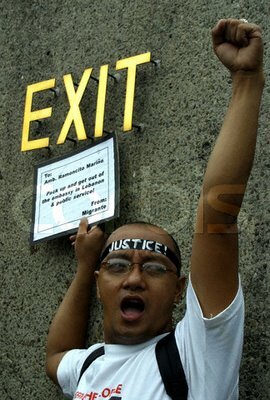 Retrieved December, 22nd, 2006 from http://www.inq7.net/globalnation/sec_new/2005/dec/02-01.htm.